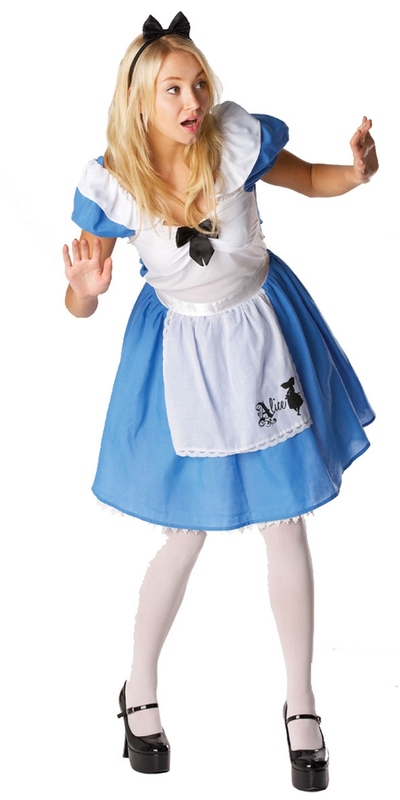 The basic format of Alice's clothing as laid down by Tenniel is that of a typical middle-class girl of the mid-Victorian era. While unremarkable then, her clothes have tended to remain fixed no matter what the era the work is set in since. She wears a relatively plain pastel coloured or dark dress which may button up the front or rear, contrasting white Peter Pan collar, puffed sleeves, perhaps edged with lace or broderie anglaise and a number of horizontal parallel bands or a tier effect, usually of the same colour, round the circumference of her skirt above the hem. 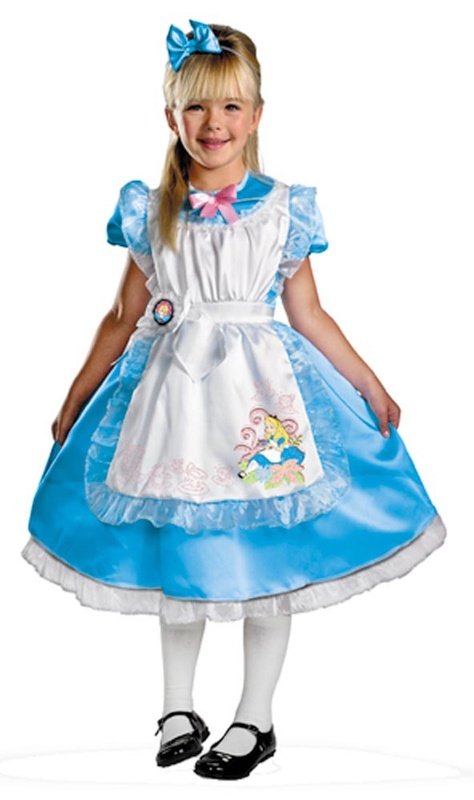 Over the dress she wears a pinafore, fastened at the back with a bow, which is white and edged in a darker colour, usually pink in the coloured versions. The front of the apron below the waist is all edged with a white ruffle of the same material as the apron itself and the border of the plain portion of the apron before the ruffle starts is edged with the same contrasting colour as before. The join between the edge skirts of the apron and non-edged bodice is hidden by the waist sash of the same colour. The front of the apron is embellished by two matching semi-circular pockets, edged across the top with the contrasting ribbon again. 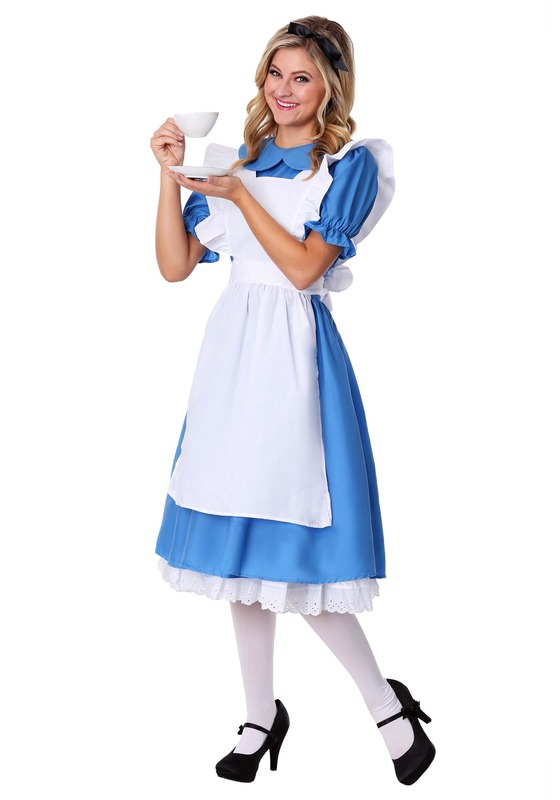 Probably the outfit in a live-action film (as opposed to an animation) which most closely adheres to this standard is that worn by Fiona Fullerton in the musical version, Alice's Adventures in Wonderland (1972 film).